Since its invention in 1925, the A-Series continues to be the cornerstone of Schlage's product line and sets standards by which the industry is bound. Worldwide acceptance and use of the A-Series are testimony to the precision and integrity of its design. 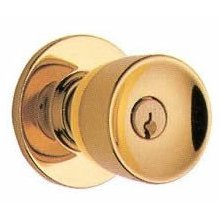 A-Series Door Knob locksets are constructed of high strength steel and plated for superior corrosion resistance and maintenance-free performance.